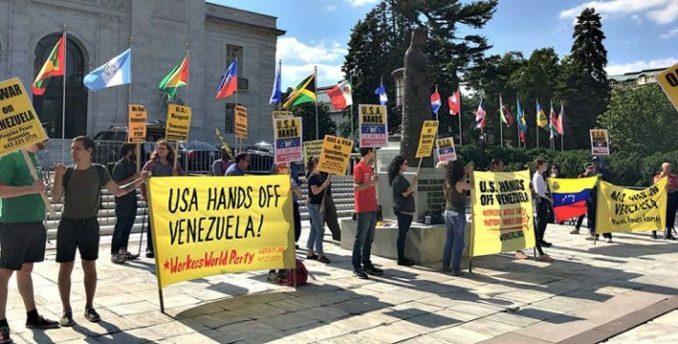 Protests in the U.S. confronted U.S. imperialism’s constant attack on the Bolivarian Revolutionary government in Venezuela. The Trump administration’s most recent assault began at the May 31 Organization of American States meeting in Washington, D.C. Using Vice President Mike Pence and Secretary of State Mike Pompeo as attack dogs, the U.S. is trying to line up members of the OAS against the government of President Nicolás Maduro. Secretary General Luis Almagro is head of a U.S.-backed bloc in the OAS, the Lima Group. 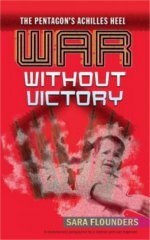 This bloc, consisting of the more reactionary and pro-imperialist governments, promotes U.S. interventionism. That bloc failed last June to get a resolution passed condemning the Venezuelan Constituent Assembly. The organization of Caribbean states, CARICOM, backed by pro-Venezuela allies, including Nicaragua, Bolivia, Ecuador and El Salvador, put forward a resolution against interventionist actions. Though that resolution also failed to pass, this coalition of countries was a powerful voice on behalf of nonintervention in Venezuela. Pompeo openly demanded on June 4 that Venezuela be expelled from the OAS and that sanctions be imposed on the country by the OAS. Supporters of Bolivarian Venezuela outside the Organization of American States building in Washington, D.C., June 4. In D.C., supporters of the Bolivarian Revolution occupied the plaza in front of the OAS building and held a rally there on June 4. After the rally, supporters marched with signs and banners nearly two miles to the Bolivarian Hall of the Embassy of Venezuela. There a panel of Venezuelan speakers discussed the effect of U.S. sanctions, the achievements of the Bolivarian Revolution, and the work of their country’s social programs, including initiatives for gender equality and housing. Venezuelan Foreign Minister Arreaza, who had come from a day of rebutting attacks on his country at the OAS, expressed appreciation for solidarity from people in the U.S. and also linked Venezuela’s struggles against oppression to those of people in the U.S.
Endorsers of the protest included: All African People’s Revolutionary Party; ANSWER Coalition; Black Alliance for Peace; Code Pink; D.C. Metro Coalition in Solidarity with Cuba; Friends of Venezuela; International Committee for Peace, Justice and Dignity; International Action Center; Pan-African Community Action; Peoples Power Assembly; Party for Socialism & Liberation; Trabajador Unidos de Washington D.C.; Workers World Party DC & Baltimore; Youth Against War & Racism. 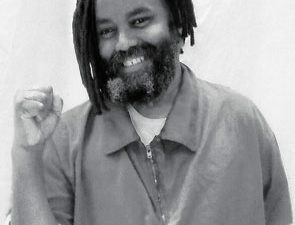 WWP members from Baltimore, Philadelphia, New York City, Washington, D.C., and Durham, N.C., attended. A speaker holding a Guatemalan flag describes the parallels between historical U.S. intervention in that country and the imperialist threats against Venezuela. Supporters gathered at Park Street in downtown Boston to speak out in support of Venezuela on June 2. The rally’s main goal was to affirm the right of self-determination of the Venezuelan people. Alberto Barreto from the International Action Center demanded that the U.S. stop its neo-colonial and imperialist threats against President Maduro’s government and denounced the hypocrisy of the U.S. failing to recognize the election. Speakers from the Committee on Peace and Human Rights emphasized the key role that Venezuelan discounted oil has played in keeping the heat on during cold winters for thousands of poor Massachusetts residents. A project growing in Boston, between the working classes of this continent and Venezuela, is the Seeds of Solidarity program. 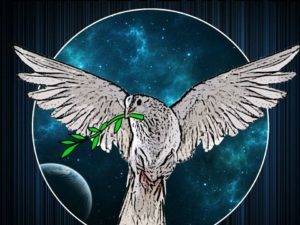 Through this, Boston locals raise money for organic, agriculturally relevant seeds to help Venezuelans develop their country’s capability to resist the international blockade. 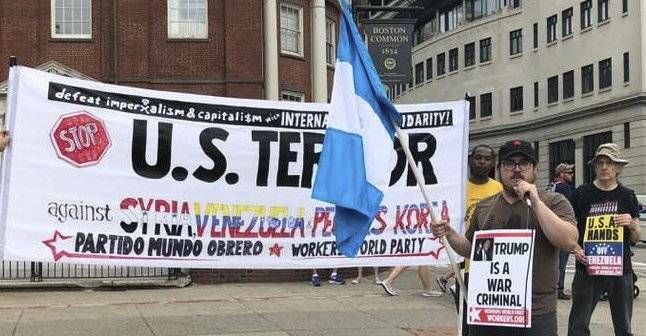 Samuel Ordóñez, from the International Action Center and the Boston Venezuela Solidarity Committee, called attention to the history of the millions of deportations by the U.S. government in recent years under both Obama and Trump. This is in contrast to the history of Venezuela’s revolutionary government of building millions of units of new housing for poor and working people under both Chàvez and Maduro. 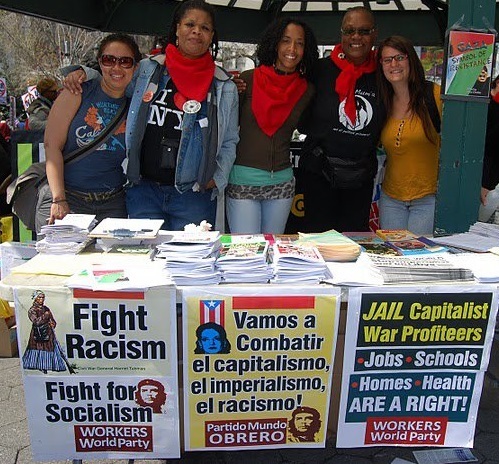 Organizations present included the International Action Center, Workers World Party, the Boston Venezuelan Solidarity Committee, the Committee for Peace and Human Rights, and others.